Hawaii is one of these bucket list destinations that everyone should experience at least once in their lifetime. As summer gives way to autumn, it’s time to start planning your next hot vacation! 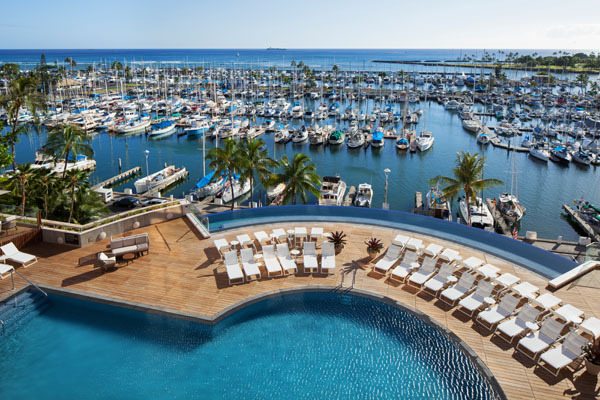 Whether you are traveling as a couple for a romantic hideaway, with friends for a spa getaway, or with extended family for a multi generational trip- Hawaii has it all. Here are some of our favorite spots on Oahu for the perfect vacation. Let’s start with Oahu, the most populated island in Hawaii where the capital is located. Honolulu, which is Hawaiian for calm port, has a population of nearly 1 million inhabitants which also comprises two thirds of the state’s population. A unique aspect of visiting a capital city in paradise is that you can have all of the offerings of an international metropolis surrounded by the natural beauty of the island with some of the most beautiful beaches in the world. The most famous beach is Waikiki Beach, located on southern shore of the Island of Oahu. Waikiki Beach offers splendid white sand beaches, incredible sunsets, and delicious seafood. 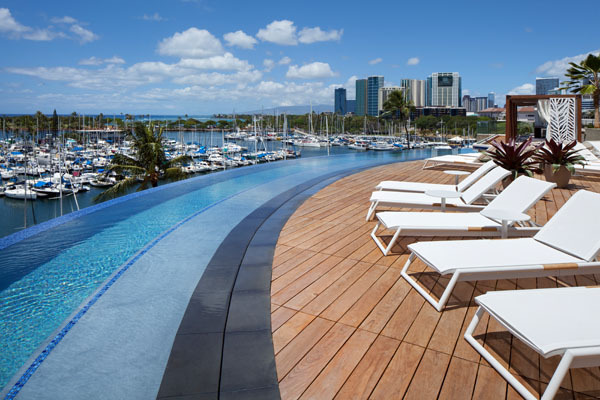 One of the best places to stay on the island is the famed Prince Waikiki that is centrally located and offers guests unparalleled luxury. From the public areas to the guest rooms and infinity pool, guests have breathtaking views of the ocean from every vantage point. Their beautiful oceanfront location is perfectly located in the heart of this dynamic and vibrant city. From the moment you take the glass elevator you can experience the vista of the beach and ocean, just be sure not to miss your floor. 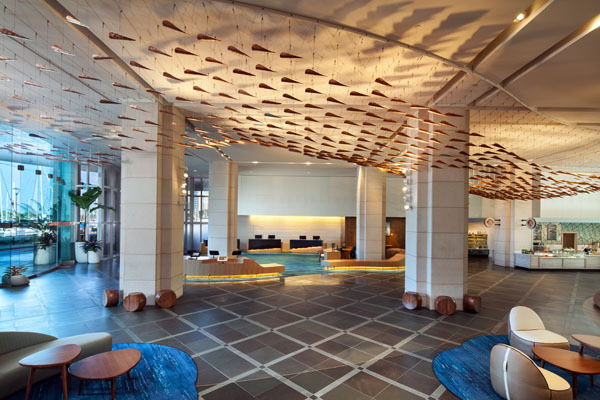 The hotel has recently been freshly renovated and redesigned to share the history of Hawaii and also displays the largest contemporary Hawaiian collection of art in Waikiki. Guests will also have the pleasure to indulge in delicious island cuisine made with the hottest local ingredients in their renowned restaurants. Catch a beautiful sunset at their weekly Friday night party featuring live local musicians. Sleep in luxury in one of their spacious accommodations. 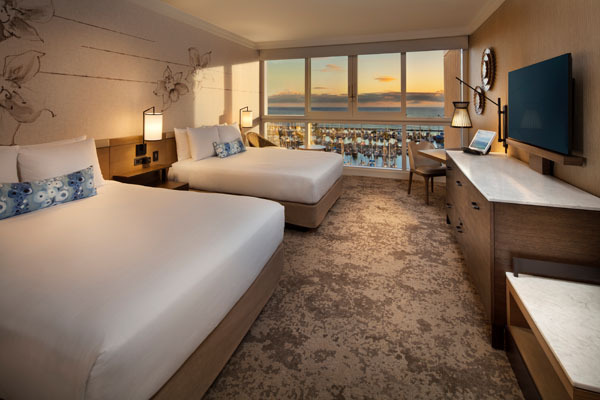 Rooms start at 414 square feet while suites span from 838 to 1,221 square feet with ocean views overlooking the beautiful beaches and yachts. All of the rooms feature the native Naio flower painted on the walls which are grown on the indigenous Myoporum tree. For unparalleled views, book an « oasis in the sky » aptly named for rooms on the highest floors. 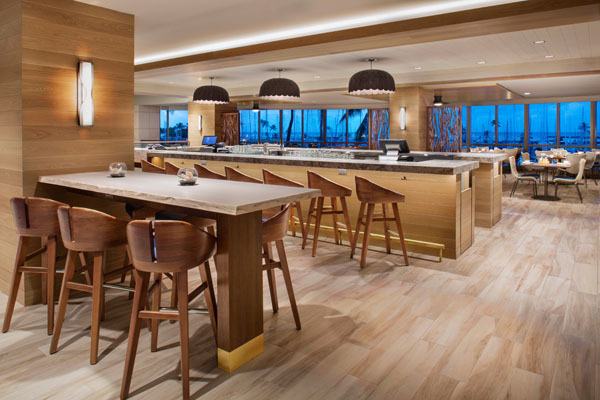 Prince Waikiki lounge guests will also have exclusive access to a private lounge located poolside overlooking the beautiful Pacific Ocean with complimentary services such as: daily breakfast, afternoon snacks, evening hors d’œuvres, personalized concierge services, newspapers, magazines and more. For golf aficionados, tee off at the Hawaii Prince Golf Club designed by Arnold Palmer and Ed Seay which offers 27 dramatic holes, set on 270 acres against awe inspiring views over the mountains.